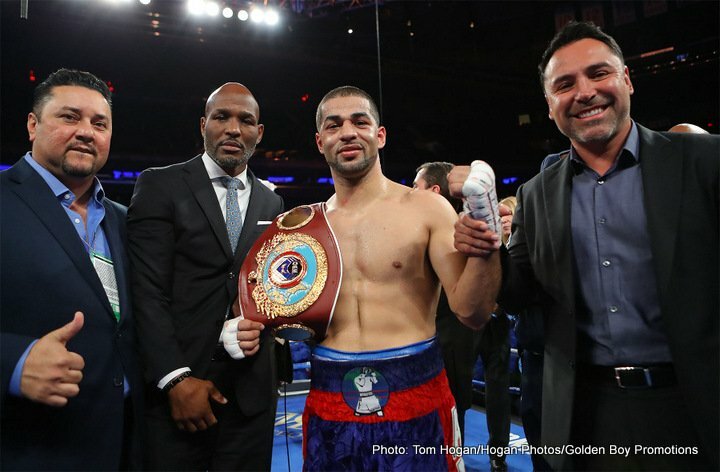 On a night that Madison Square Garden and the boxing world bid farewell to a boxing legend in Miguel Cotto (41-6, 33 KOs), Sadam “World Kid” Ali (26-1, 14 KOs) stole the show, winning a unanimous decision victory and the WBO Junior Middleweight World Championship in front of 12,391 fans and televised live on HBO World Championship Boxing. The final scores were 115-113 twice and 116-112. Ali, a 2008 U.S. Olympian from Brooklyn, hurt Cotto twice in the early rounds and used slick defense and solid counter-punching to keep Cotto at bay throughout the 12-round bout. 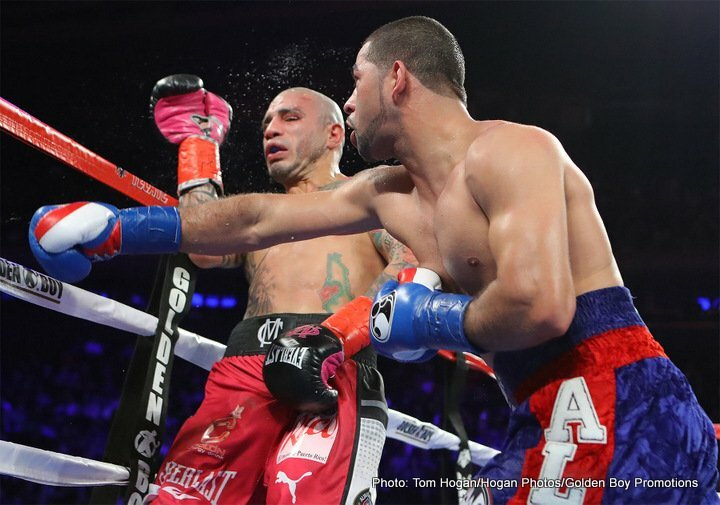 Cotto, a six-time, four-division world champion and the fighting pride of Caguas, Puerto Rico confirmed his retirement after the bout. 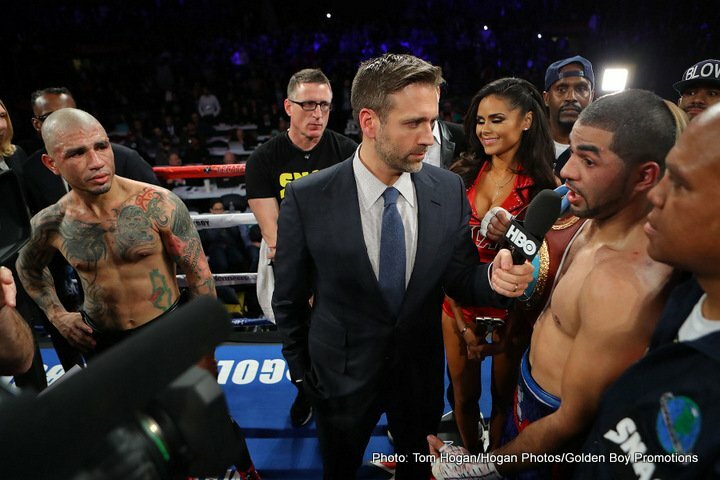 In the co-main event, despite suffering severe gashes over both eyes caused by accidental headbutts, WBC Super Bantamweight World Champion Rey Vargas (31-0, 22 KOs) defended his title a second time,rolling to a 12-round unanimous decision victory over a very game Oscar “El Jaguar” Negrete (17-1, 7 KOs). The scores were 119-109 twice and 120-108. In a battle pitting Puerto Rico against Mexico for the vacant WBO Junior Flyweight World Championship, Angel “Tito” Acosta (17-1, 17 KOs) of San Juan, Puerto Rico landed huge shots throughout the early and middle rounds before knocking out Neuvo Leon, Meixco’s Juan “Pinky” Alejo (25-5-1, 15 KOs) with a vicious left hook in the 10th round of a scheduled 12. 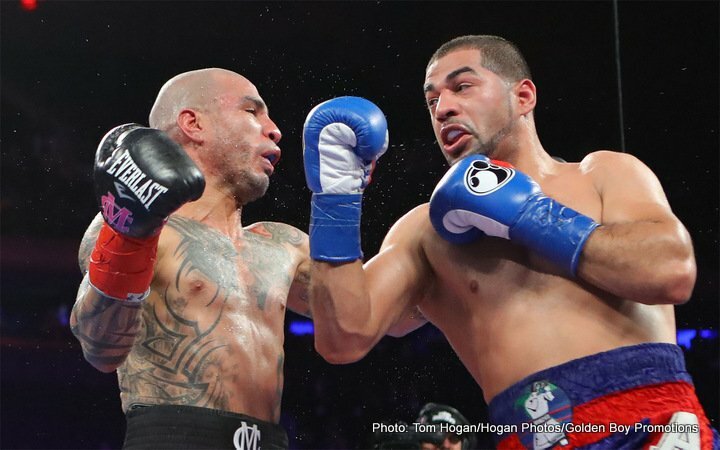 Santa Ana, California’s Ronny Rios (29-2, 13 KOs) used a combination of left hooks to the body and right hands upstairs to dominate Monteria, Colombia’s Deivis Julio (19-4, 11 KOs) over 10 rounds in a match up of featherweights. Rios took home a unanimous decision by the scores of 100-90, 99-91 and 97-93. In the opening fight of the evening, welterweight prospect and Brooklyn native Zachary “Zungry” Ochoa (18-1, 7 KOs) landed early and often, en route to a unanimous six-round shutout decision over Tijuana, Mexico’s Erick Martinez (14-10-1, 8 KOs). Cotto vs. Ali was a 12-round fight for Cotto’s WBO World Junior Middleweight Championship, and was presented by Golden Boy Promotions and Miguel Cotto Promotions. 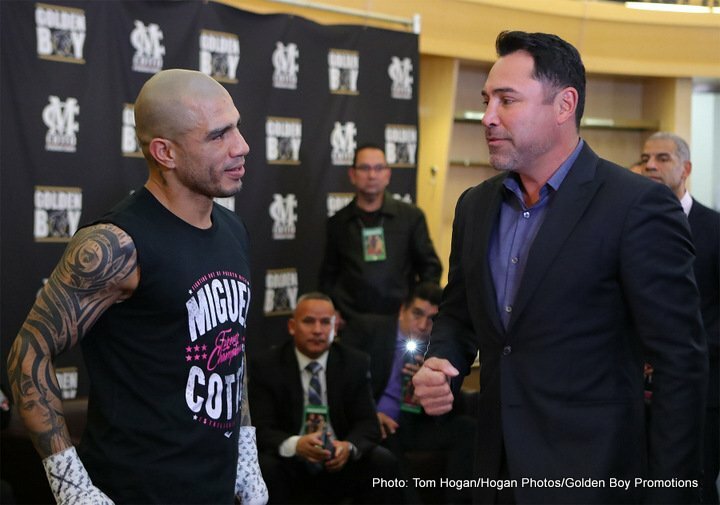 Vargas vs. Negrete was a 12-round fight for Vargas’ WBC World Super Bantamweight Title and was presented by Golden Boy Promotions and Miguel Cotto Promotions in association with Promociones del Pueblo.